On the third Monday of every January, the United States honors its greatest civil rights hero, Martin Luther King Jr. with a Federal holiday marking his January 15 birthday. King was assassinated on April 4, 1968, as the anti-segregation tide became unstoppable in America. Honoring Reverend King with a Federal Holiday was not an easy road. It took 18 years to achieve. 1. 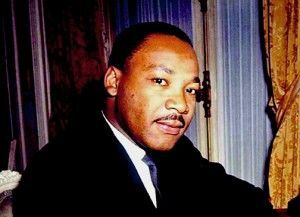 The first attempt to honor Reverend King with a Federal holiday was a few months after his death. It failed, and so began a 15-year struggle to memorialize this icon with a national day of observance, which was to be called Martin Luther King Jr. Day. As TIME put it: ‘The origins of the holiday are mired in racism, politics, and conspiracy’. 2. 11 years went by. In November 1979, Martin Luther King Jr.’s widow, Coretta Scott King, supported by President Carter, testified before joint hearings of Congress in favor of the King Holiday Bill. 3. It was defeated in the House by just five votes. 4. Coretta Scott King continued her campaign. Singer Stevie Wonder became a prominent proponent and released the song “Happy Birthday” in 1980 — it became a rallying cry for the public. 6 million signed a petition for a federal Martin Luther King Jr Day, and in 1983, the House passed the bill with a vote of 338 to 90. 6. The Bill passed. President Reagan signed it into law in November 1983. 7. The first official Martin Luther King Jr. Day was observed on the third Monday of January 1986. 8. At the beginning, only 27 states and Washington, D.C., honored the holiday. 9. South Carolina which became the last state to recognize the holiday in 2000. 10. Only two other people have national holidays in the United States honoring them: George Washington and Christopher Columbus. Not only was the cause of civil rights a long and painful struggle, but as we see, deep racial divisions continued to thwart the honoring of a true hero, Martin Luther King Jr, long after his death.